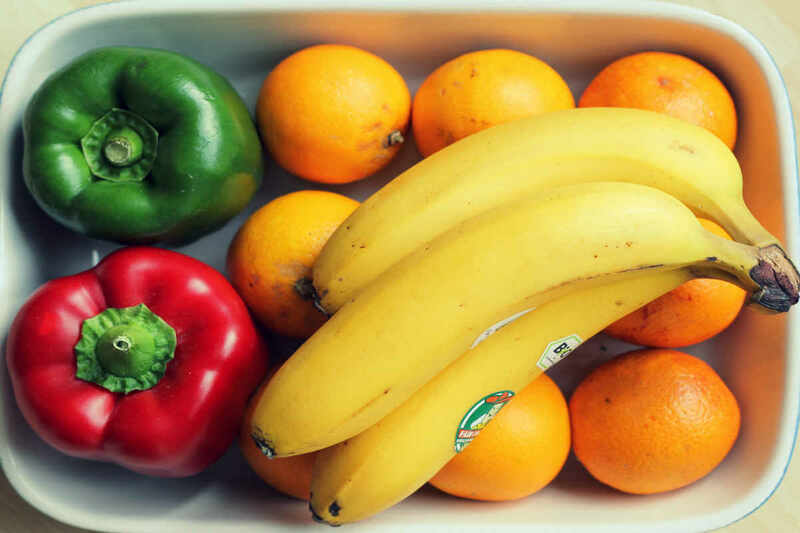 For most people, fruit equates to banana. However, if you are watching your weight, then you might have run miles away from this year-round, yellow fruit. How to Eat your Banana? Do you know, you are missing out on a world of nutrients just because of a rumour that banana makes you fat!? The stylish fruit (with its own speckled yellow jacket) can help you lose weight too! Are you doubting that? Have a chat totally FREE with one of our Nutrition Coaches and believe it for yourself! So What is in a Banana? Ok back to banana nutrition benefits! You might have known that bananas being rich in potassium but they are a powerhouse of other nutrients too! 10% of copper and biotin requirements. Leave alone this nutrition fact, does banana really make you fat?! To tell you, the number of calories in a banana is about 100 calories (although Truweight doesn’t believe in counting calories. we are still stating this fact for the calorie obsessed people out there!). This also gets us to the question whether one can have a banana while following a weight loss plan? The following video will help clear the facts for you. You thought you knew enough about bananas to avoid them in the diet but hey there are 4 different types of banana! With roots in Europe, this is the most common type of banana available throughout the world. This banana is a Philippine speciality used extensively in cooking. It is characterised by a squarish shape. You must have spotted this banana in the supermarkets. They are plumper than the regular cavendish but when ripe, they are sweeter with a slight mango flavour. An athlete’s favourite due to higher sugar content. Our very banana from Kerala, this banana is reportedly grown organically thus providing the yellow colour to the fruit. Let’s face it, the regular banana is so much more affordable yet nutritious that they definitely give you more value for your money. But before you simply nod to that fact, let us understand the banana nutrition facts and health benefits. We have elaborated on the nutrition in 1 medium-sized banana enough. You know they are hardly the high-calorie monster that they are made out to be. 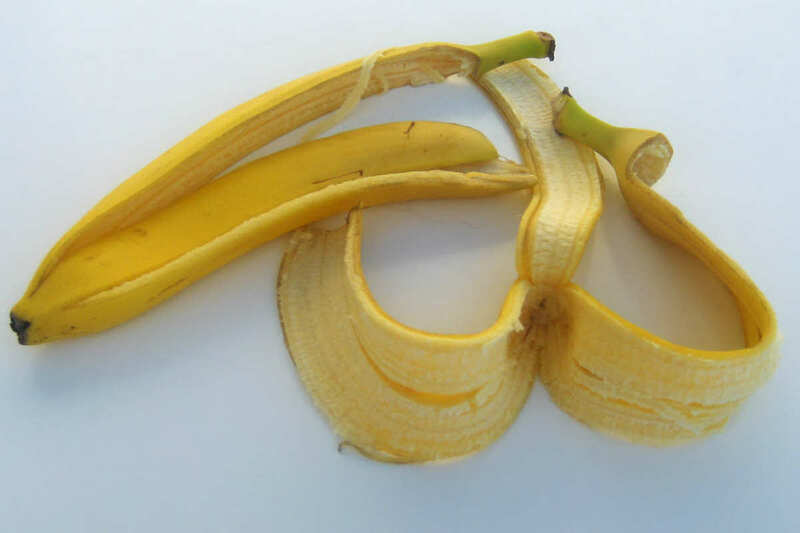 Although they taste sweet when ripe, bananas are still categorised as a low GI food. Surprised? Additionally, taking into account their rich vitamin and mineral status, and high fibre status (even 3 grams helps you reach the per day fibre recommendations of 25 grams for women and 38 grams for men); bananas are indeed an ideal snack that will help you with your weight loss goals. However, if you think a banana split or banana chips will benefit your weight loss goals then you are mistaken. Just opt for a banana without the fancies! One: Because of the potassium. Potassium is known to reduce blood pressure which means protection against atherosclerosis or plaque deposition in the arteries. Two: Due to the Fibre. A medium sized banana gives 3 grams of fibre and this increases to almost 4 in a large one. 1/3rd of it is soluble fibre, the kind which prevents deposition of waxy substance in the arteries that block blood flow! Three: Due to the presence of a special fat. Although bananas have negligible fat content, the trace amounts are present in the form of sterols. Although a cousin of cholesterol, the ones in banana help block the absorption of the baddie cholesterol thus protecting the heart. 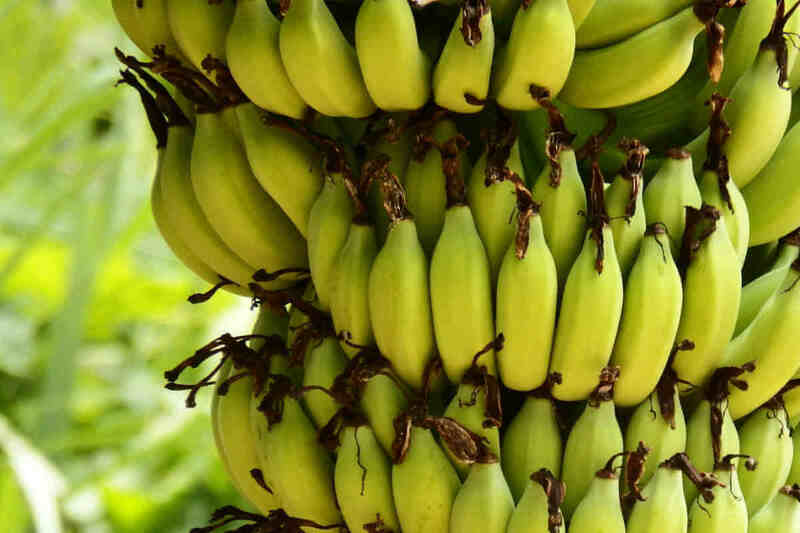 The Cavendish banana may soon go extinct! Yes, you read that right. They are grown by the traditional vegetative cultivation and not by sexual reproduction stated a report. This means they lack diversity due to which a viral or bacterial infestation can wipe out this common banana variant from the market! By now you would have memorised the fibre content in bananas but there is a unique beauty to it. Bananas have a high content of pectin, a complicated kind of fibre which is partly water soluble (imagine the ones that form a gel in the stomach) and partly insoluble. As bananas ripen, the water-soluble part of the fibre increases (hence the mushy touch of a ripe banana). Not just that, they are also rich in fructooligosaccharide, a unique fibre which remains undigested helping probiotic bacteria increase in number. 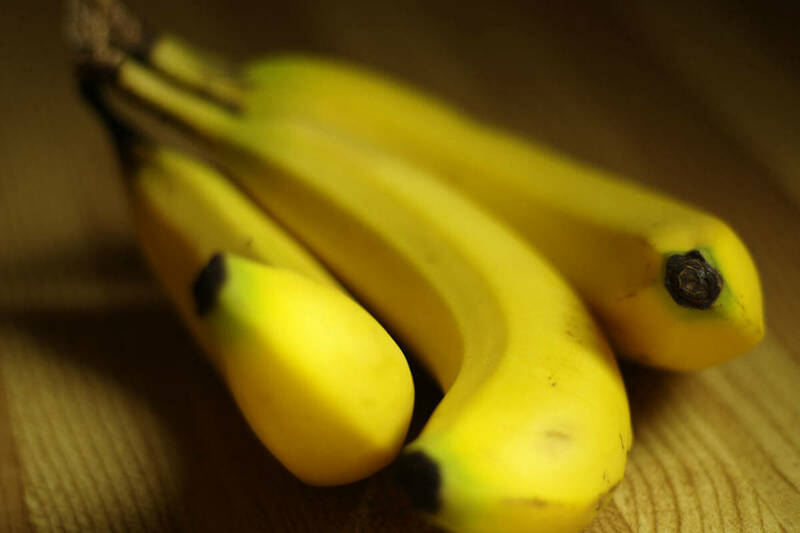 Thus the fibre content along with the probiotic bacteria make banana the natural gut doctor. Do bananas have a lot of fibre? Banana is the nature provided fuel! Where else will you find a mix of balanced micronutrient and low glycemic index profile, convenience (easy to carry), and affordability! A study among distance cyclists found that having half a banana every 15 minutes of a 3-hour race is equivalent to the mineral and carb profile in a sports beverage. Let’s not forget how potassium helps prevent muscle cramps, a big positive for the athlete in an enduring event. A banana a day can keep you looking younger forever! It is no wonder that many beauty regimens include a banana mask! That is because bananas are a good source of vitamin C making it an ideal anti-wrinkle food. Feeling down and low? Have a banana before you reach out to that tub of ice cream. Not only the sugar content but the presence of tryptophan helps in alleviating the worst of the moods. So chop some bananas and add them to your cereal. Having trouble falling asleep? Try a banana! The potassium and magnesium in bananas help relax muscles whereas the tryptophan gets converted to the sleep-inducing hormone melatonin! Try eating a banana 2 hours before you sleep if you have trouble sleeping! 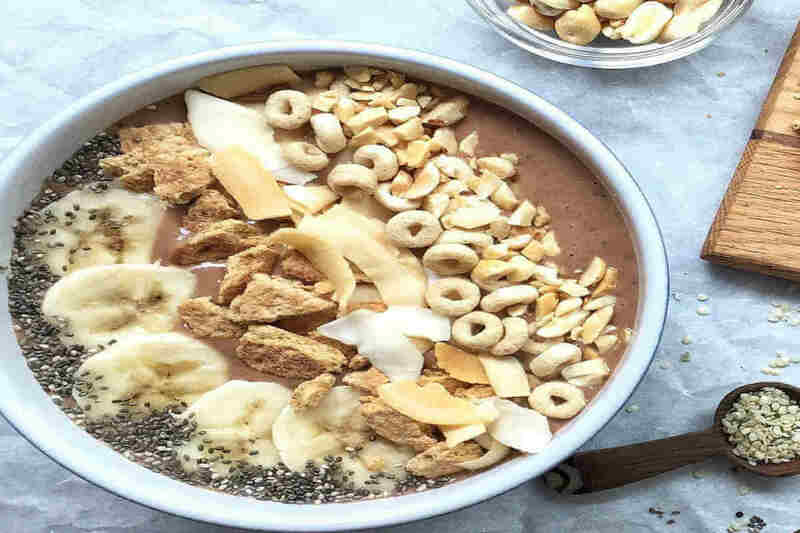 Incorporate the banana in an omega-3 rich smoothie or eat them as it is. Or simply chop some up on your muesli. Here is an interesting salad recipe using the banana stem. Now, will you look at the fruit kindly and not just think about the calories in banana after knowing about the wonderful nutrition facts and health benefits that it comes with? 1 banana nutritionapple nutritionare bananas healthybanana benefitsbanana facts.banana fruit benefitsbanana health benefitsbanana nutritionbanana nutrition benefitsbanana nutrition carbsbanana vitaminsbenefits of eating bananasbenefits of nendran bananacavendish bananakerala banana benefitskerala banana vs normal banananendran banananendran banana benefitsnendran banana caloriesnendran banana nutritionnendran banana nutritional valuenutritional value of bananasaba bananasteamed kerala banana benefitsstrawberry nutritionuses of nendran bananaWhat is in a banana? ; Do bananas have a lot of fiber? ; Are bananas good for your heart? ; What vitamins and minerals are in a banana? How to detox your body in 8 simple ways!